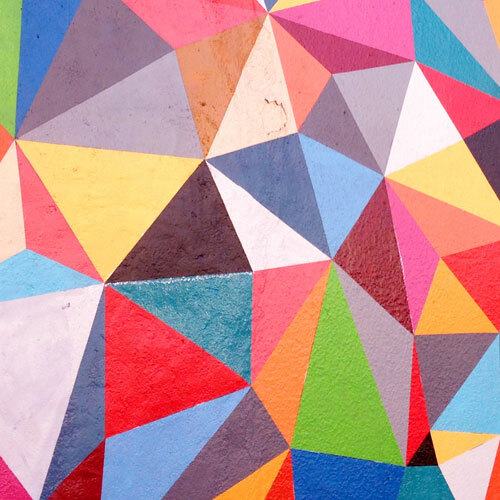 This mural, painted by Chicago-born, Oakland-based Jason Pyrzynski, is located at 45th St. and Martin Luther King Jr. Way in the Longfellow neighborhood of Oakland. 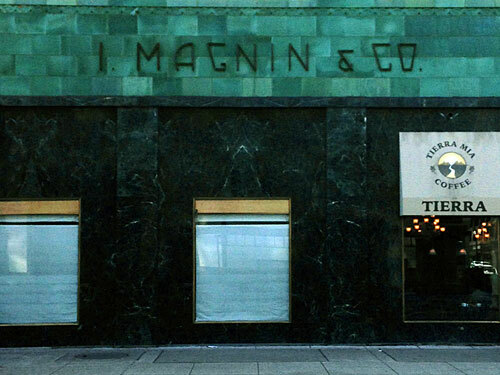 Located at 2001 Broadway in downtown Oakland, I. Magnin was once a luxury fashion and specialty goods department store. This stylish sign remains on what’s still a glorious Art Deco building, which was once the company’s flagship location. 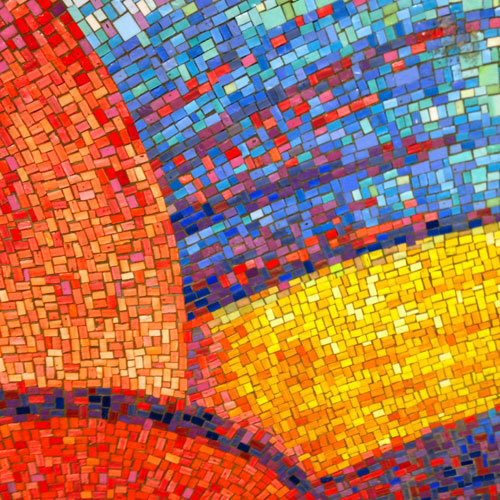 Elizabeth Murray‘s Stream is a series of glass mosaic murals located in the long passageway inside the 23rd St.-Ely Ave./Long Island City-Court Square MTA subway station in NYC. 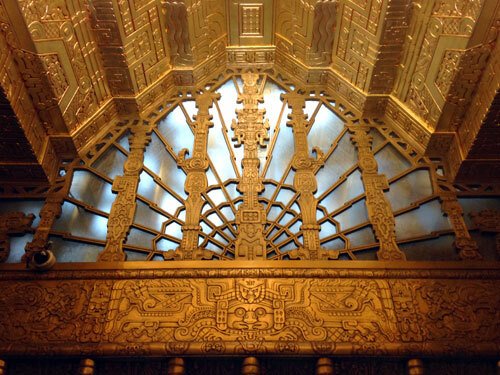 450 Sutter is a neo-Mayan Art Deco skyscraper located in downtown San Francisco. Designed by Timothy L. Pflueger, this medical professional building was completed in 1929. 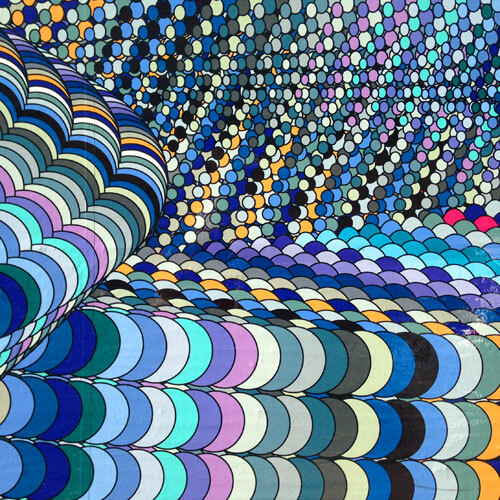 Ellipses in the Key of Blue by Oakland-based artist Randy Colosky is a temporary mural in the South of Market area of San Francisco, covering the site of the Yerba Buena/Moscone BART station, currently under construction. It is on view until May 2015. 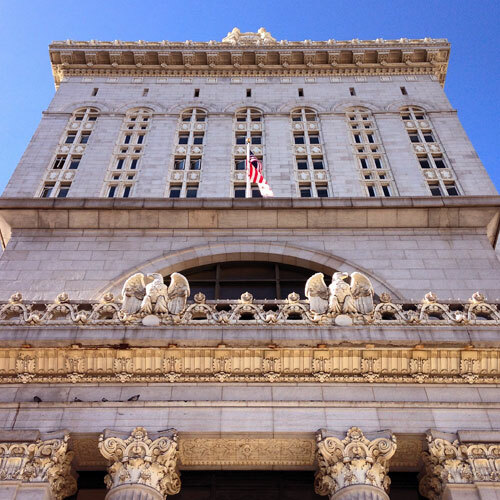 When the Oakland City Hall was completed in 1914, it was the tallest building west of the Mississippi. 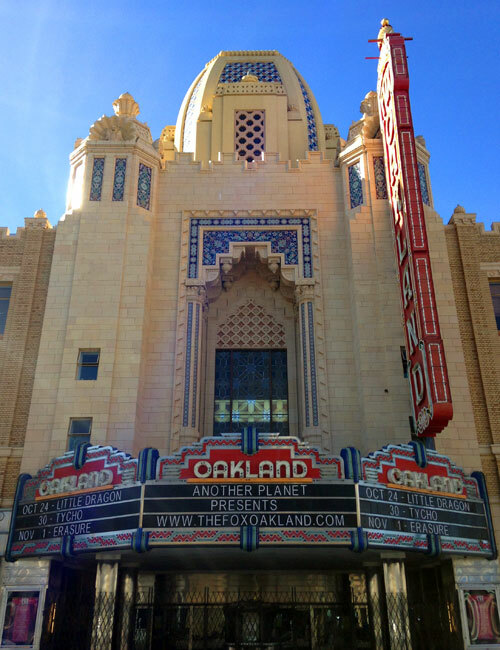 Designed by the NYC-based firm of Henry Hornbostel and William Palmer, this grand Beaux Arts structure is located at 1 Frank H. Ogawa Plaza in downtown Oakland.